Small General Purpose Drafting Template Contains circles, squares, hexagons, triangles, brackets, arrows, star, and ellipse. 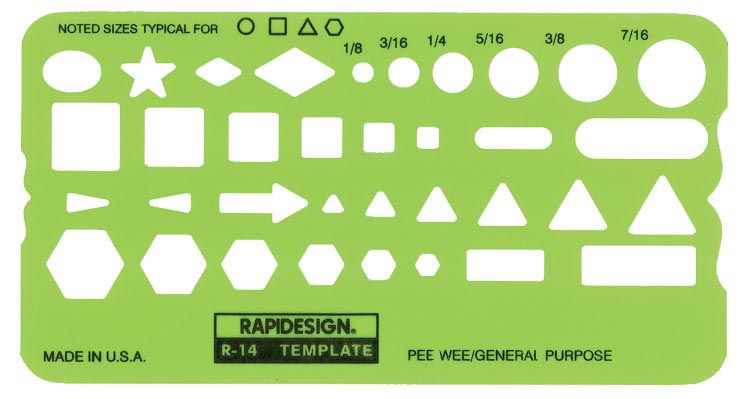 Standard symbols size range from 1/8" to 7/16". Size: 2Â½" x 4Â¾" x .020".